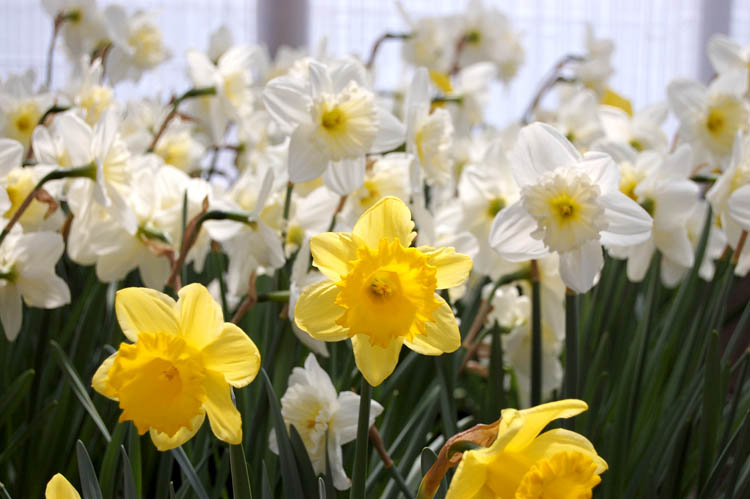 Daffodils — called Jonquils in some parts of the country — are true bulb plants that should be planted in fall in well-drained soil. They have a long bloom time and are stunning when planted in large clusters. The bulbs may be left in the ground after blooming to multiply over the years. To subdivide bulbs after two or three years of blooming, harvest them immediately after the foliage has died down, then divide them and store in a well-ventilated, cool, dry place to be replanted in the fall. Flower colors include shades of yellow, white and various combinations of white, yellow and orange.